Colette Hatch is an internationally known food and wine authority. Her career spans more than three decades and covers all aspects of food and wine marketing and management. Her warm and friendly demeanor is sure to mix well with any event. 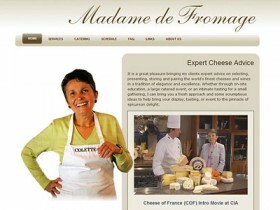 Colette works with some of our local markets and also teaches cheese classes and caters special events.